Bahrain-based investment house Arcapita, which agreed on a restructuring plan earlier this year, said on Monday it had sold North American logistics firm 3PD Holding to XPO Logistics Inc for $365 million. Arcapita booked a positive return on the investment it made in 2006, the Bahrani firm said in a statement without elaborating on how large the gain was. Operating in the United States and Canada, 3PD Holding has established itself as one of the leading last-mile logistics firms, Arcapita added. 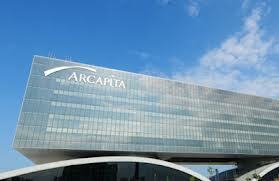 Arcapita became the first Gulf entity to file for Chapter 11 bankruptcy protection in the United States in March 2012 after the firm, which had about $7.4 billion in assets under management, was hit by the global financial crisis. A U.S. court agreed to its reorganisation plan, which included the first Islamic bankruptcy loan, in June.